We are a Community of 10 sisters, 1 junior, 2 novices and 1 postulant, ranging in age and comprising 5 nationalities. The oldest sister is 93 and the youngest member is 27. This broad mix ensures a balance and richness in our community life together. Work and prayer form the basis of our life. We celebrate the Divine Office daily, it is sung 5 times a day. All contribute to the life of the community, sharing their gifts and talents with all, for the service of God. 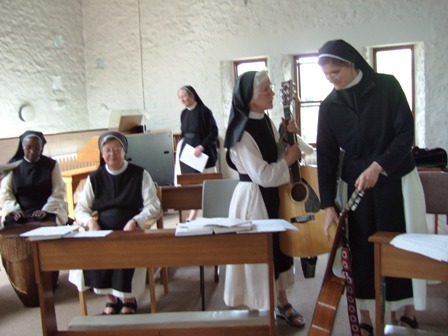 In August we welcomed a young sister from Asia, Sr. Marie Therese and said goodbye to Sr Reina who moved to Brownshill. Annabelle joined us from France in August. None of us is perfect and we accept each other's weaknesses, knowing that we are stronger together, than alone. We are all involved in the work of the guesthouse in our different ways, from welcoming people at the door, domestic work and in retreat giving. 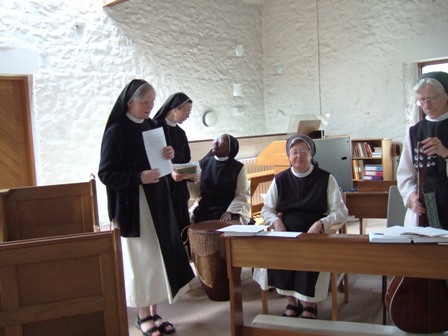 Hyning is the novitiate house for our English communities. 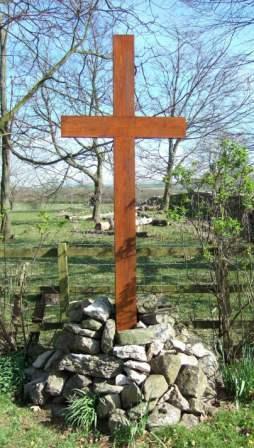 Here, we welcome those who wish to commit their lives to the search for God through the monastic vocation. On October 10th 2016, Sr Reina made her first profession as a Bernardine. On the 29th April 2017, Julia became a novice. On December 20th 2017 Audrey became a postulant! Julia will become Sr. Mary Gabriel on the 23rd February. For more information, please see our vocation page.